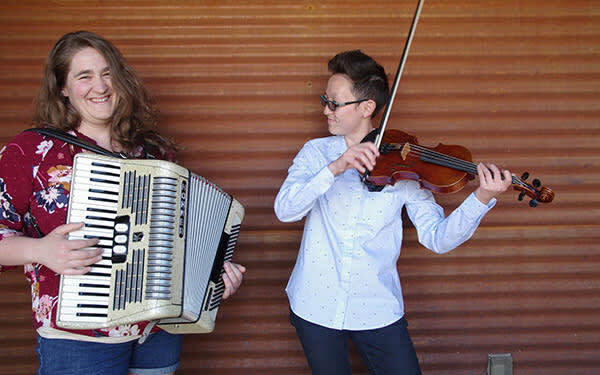 The Parson Sisters (Mirinisa Stewart-Tengco on fiddle and Clara Byom on keys) is an Albuquerque-based duo specializing in global folk dance music, including Balkan, Irish, contra, and English Country. Mirinisa and Clara became instant friends and musical collaborators after being introduced by mutual friends in January 2018. 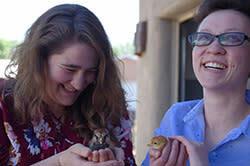 The New Mexican folk music and dance communities are at the heart of The Parson Sisters' work, as they've been independently active in two important local organizations—New Mexico Folk Music and Dance Society and Southwest International Folk Dance Institute—and hope to encourage a new generation of dancers and musicians to embrace and share these cultural traditions. 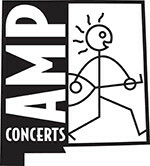 Albuquerque native Mirinisa plays violin/fiddle in this band, and percussion (and some other things) in other contexts including with Rusty Tap, an Albuquerque band specializing in contra and English Country dance. Coming from a musical background of twelve years in the Suzuki Method of classical violin and seven in the Albuquerque Youth Symphony Program, she took some time off in college to delve more seriously into West African drumming, non-classical violin and various other instruments, ultimately deciding to stick with those after graduating and returning to New Mexico. She is a lifelong dancer with various groups in and around the city as well, most often to be found at international folk dance, and is rather grateful for the thriving music, dance, and other arts community that exists in the state. Clara plays things with keys—piano and accordion and clarinet—in The Parson Sisters, as well as in Rusty Tap and several other groups, including many she herself has founded. She is a full-time multi-instrumentalist and ethnomusicologist, and also enjoys dancing whenever she has time.